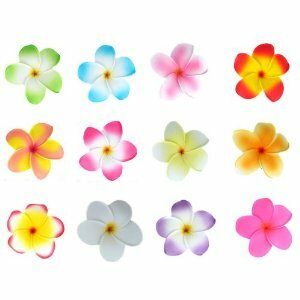 Plumeria hair clips - Oh So Girly! With all the beautiful, hot weather we’ve been having lately, it’s put me in a summer holiday mood. And summer holidays make me think of tropical paradises and girls wearing Plumeria flowers Hawaiian style in their hair! And all that got me out looking for plumeria flower hair clips. 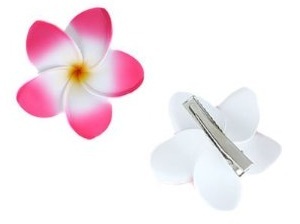 The plumeria flower, also known as Frangipani, always reminds me of the memorable trip I once took to Hawaii. 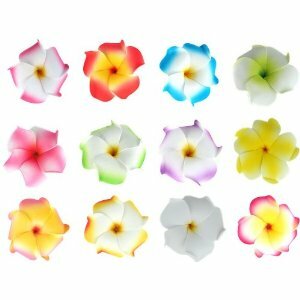 I love everything about the plumeria flower: the simple yet pretty shape of its petals with their soft color gradients and its sweet perfume. What do you think? Are flower hair clips something you would wear?